Welcome to Renfrew Marine, proudly selling and servicing boats in the Calgary, Alberta! We offer full sales, service and parts departments that work to qualify Renfrew as Calgary's Premier Boat Dealership. 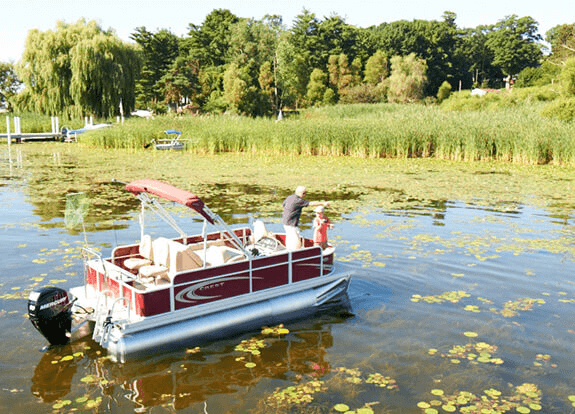 Browse through our new and used boats in our online inventory. Our online inventory features our value pricing that takes the stress out of the negotiation process. Please note that all of our pricing includes the matching trailer, freight and dealer preparation. When you are ready to buy, you can finance your boat through our business office and you can even apply for pre approved credit online. Come by Renfrew Marine today in Calgary, Alberta or give us a call at 403-253-6933. Our professional and experienced staff are ready to help! Renfrew Marine is not responsible for any misprints, typos, or errors found in our website pages. Prices do not include GST and Finance Fees. Manufacturer pictures, specifications, and features may be used in place of actual units on our lot. Please contact us for availability as our inventory changes rapidly. All calculated payments are an estimate only and do not constitute a commitment that financing or a specific interest rate or term is available. By requesting a price quote or seeking information from Renfrew Marine, you agree to receive information periodically about ongoing specials and events. Should you no longer wish to receive information, instructions for removal are included with every promotional email received. Renfrew Marine will not release your information to third parties.